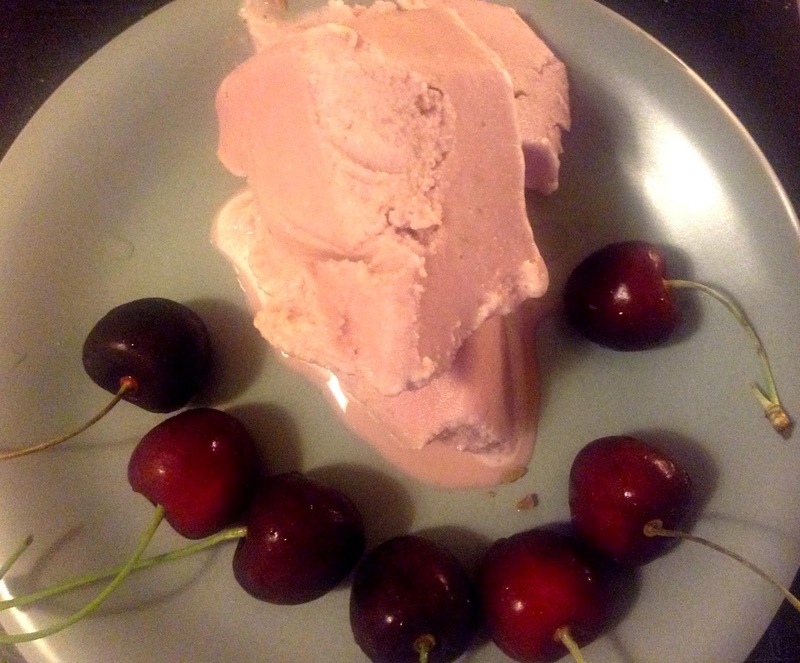 This version of cherry ice-cream is easy to make and doesn't use an ice cream maker. I used rum/whisky so that it doesn't become too icy. It could also be substituted with any other alcoholic drink. Although I could not take a nice picture because of the heat which was melting it before we could gobble it. So I skipped onto taking any more pictures and straight went to devouring the cool taste. It tasted heavenly in the hot summers. De-seed the cherries and add to a pan on medium-low heat. Let them cook for about 10-15 minutes until they become mushy. Remove from heat and let cool a bit. Don't let it cool completely. Add to a mixer and add the milk and sugar. Blend completely. Add to an air-tight box and add the whipped cream. Mix, add the rum/whisky and close. Let sit in the freezer for about 2 hours till it becomes to harden. Take out the box, add the contents to the mixer and churn again. Transfer to the box and again keep in the freezer. Repeat two more times in duration of 70-75 minutes each. 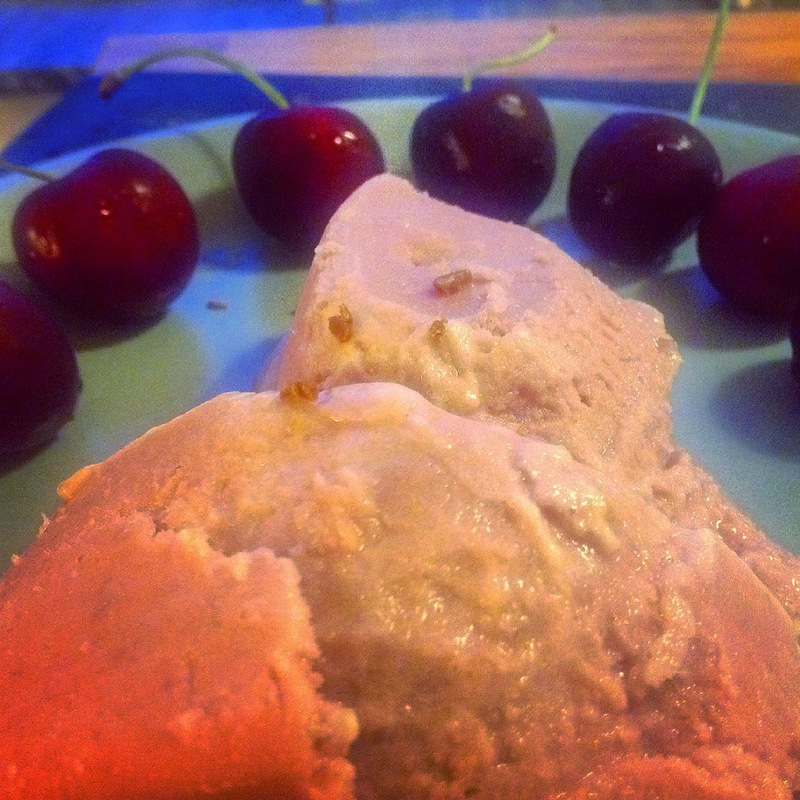 Freeze for about 30 minutes and serve chilled topped with fresh cherries.